See steep cliffs, tumbling waterfalls and abandoned farmsteads at the Geirangerfjord, Norway's most famous waterway. 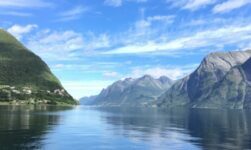 The 20km-long UNESCO-listed fjord carves through the mountains of Norway leaving near-vertical drops on both sides. It's one of the most famous images of Norway. 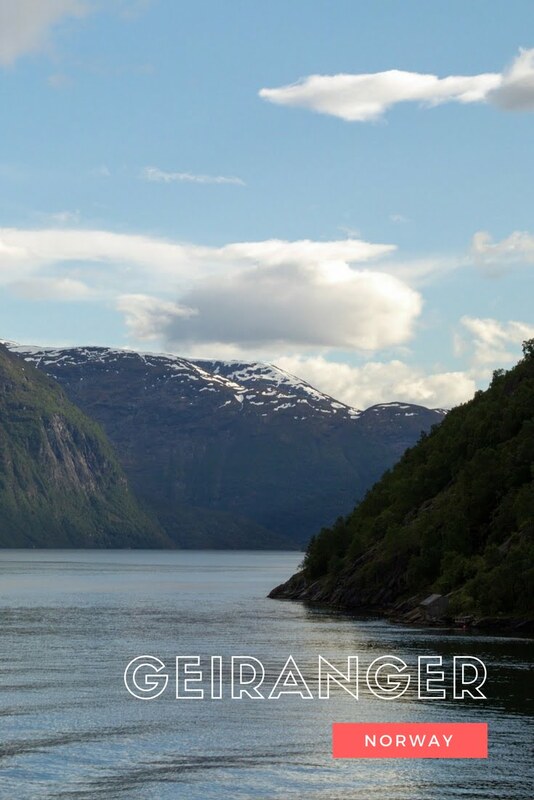 Let's explore what the Geirangerfjord has to offer. 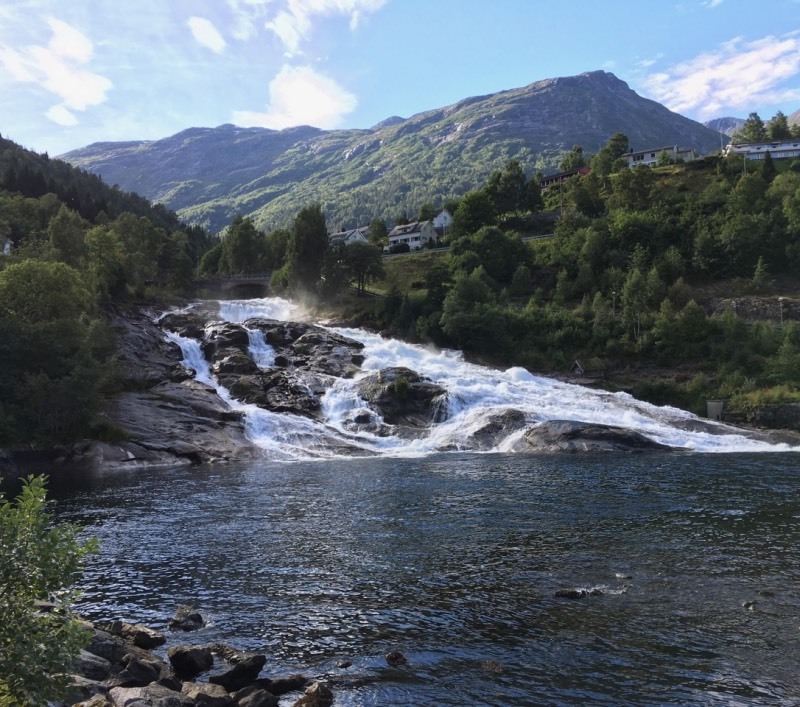 The most famous of the fjord’s numerous waterfalls, the Seven Sisters (De syv søstrene) is a collection of seven narrow streams of water tumbling down the rocky cliff into the fjord from a height of 410 metres, including a freefall of up to 250 metres. The waterfall's appearance varies seasonally and it can be anything from a slender beauty to raging torrents of water. 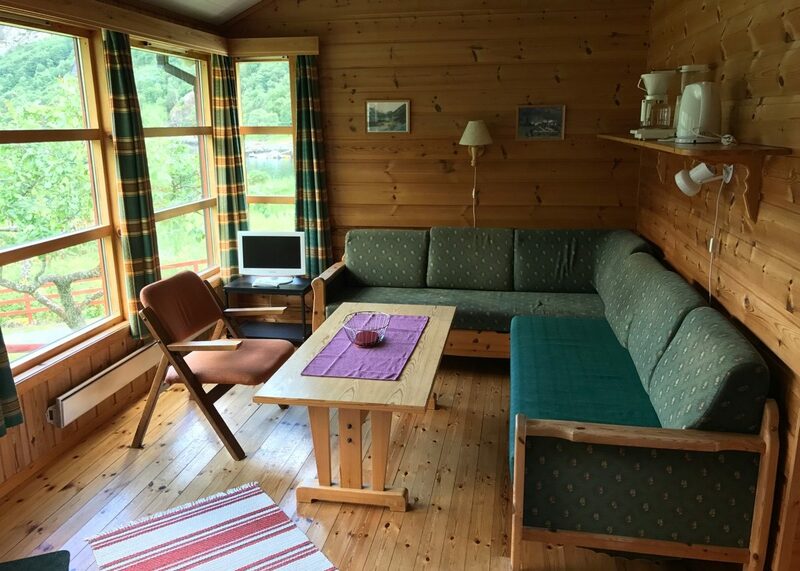 Top Tip: Accommodation in Geiranger books up well in advance. Search for accommodation now to avoid disappointment. Just to the north of the Seven Sisters waterfall, the collection of timber farm buildings at Knivsflå were abandoned in 1898 due to the increasing risk of avalanche and falling rocks. On the opposite side of the fjord and perched on a mountain ledge 270m (886ft) above the fjord, the Skageflå mountain farm achieved notoriety in 1993 when Norway’s King Harald and Queen Sonja celebrated their silver wedding anniversary at its secluded setting. Only accessible via demanding hikes from Geiranger village or a steep climb from the fjord itself, the farm is kept relatively tourist-free. 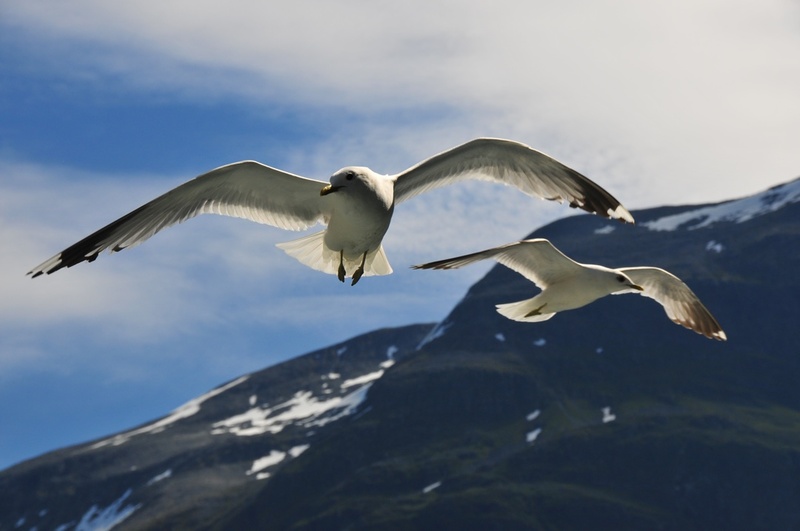 There are three main viewpoints of the fjord in and around Geiranger. All three offer different perspectives on the natural landscape. If you are driving from Trollstigen along the National Scenic Route, you will descend towards Geiranger along a series of hairpin bends, each one bringing you closer to the fjord. Pull over at the signed parking spots at Ørnesvingen, one of the highest bends where viewing platforms have been built. Many readers of my Norway guidebook want to know where the iconic front cover image was taken. 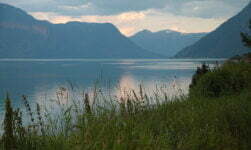 For the answer, head to Flydalsjuvet, a few miles above Geiranger village on the road signed to Stryn. The view down to the village and the fjord from here is great, but for the iconic photograph you’ll need to make your way along a slippery 100-metre trail, and probably compete with hoards of other visitors. To truly appreciate the fjord in context with its surroundings, you need to drive up into the mountains, and keep on going! 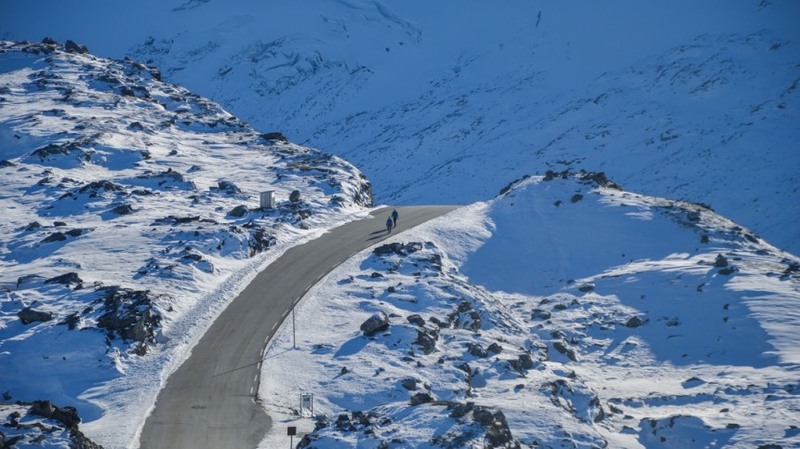 The Dalsnibba viewpoint sits 1,500 metres atop a mountain, with snow commonplace even during the height of summer. 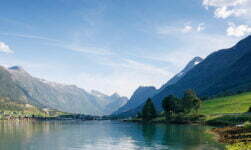 In operation from May to October, the Hellesylt to Geiranger car ferry doubles as a one-hour sightseeing cruise. 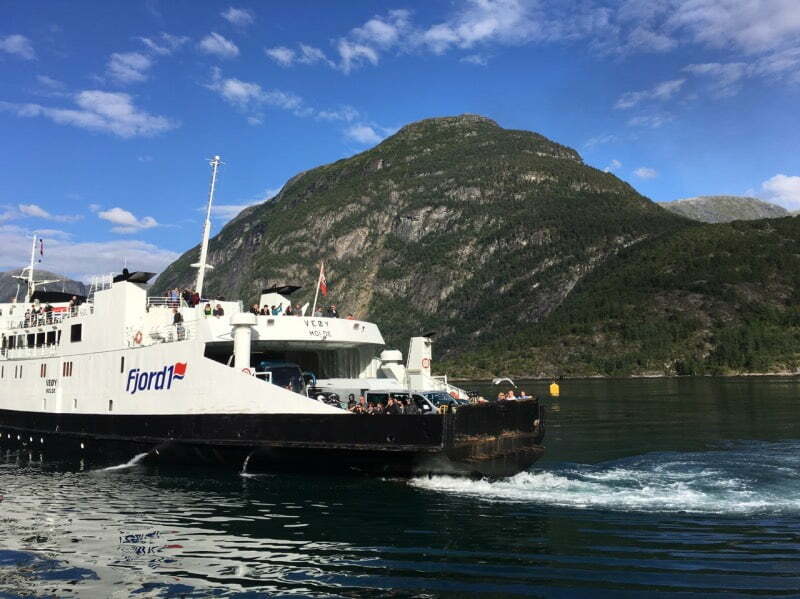 The modern boat takes passengers up close to the famous waterfalls and mountain farms, with commentary given over the loudspeakers in Norwegian, English and German. Although expensive at 530 kr (car plus driver, each additional passenger costs extra), it's a great way to combine sightseeing with a handy transport link. Without a car, a one-way trip costs 260 kroner, or 360 kroner for a roundtrip. 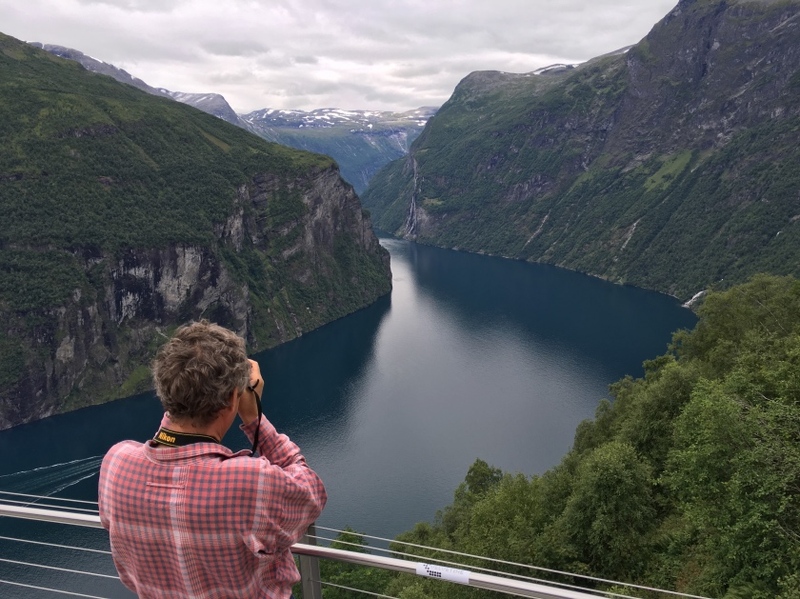 In addition to the car ferry, a sightseeing cruise leaves Geiranger several times during the day during high season, although the boat is often crammed with cruise ship visitors who have pre-booked tickets. 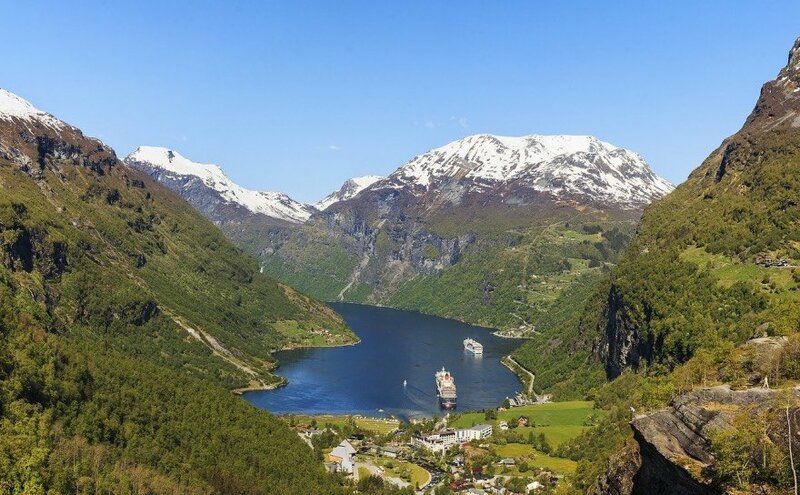 For a few hours every single day of the summer, Geiranger is transformed from sleepy rural hideaway to chaotic tourist centre as enormous cruise ships and buses packed with visitors descend on the tiny hamlet. Despite its small size, the influx of tourists throughout the summer means there are a number of shops, restaurants and cafes to keep visitors occupied. There's a small supermarket, which is great for stocking up for those camping or on a road trip. If you're not spending long in the fjord region, a quick visit to the Norwegian Fjord Center is a worthwhile place to visit. 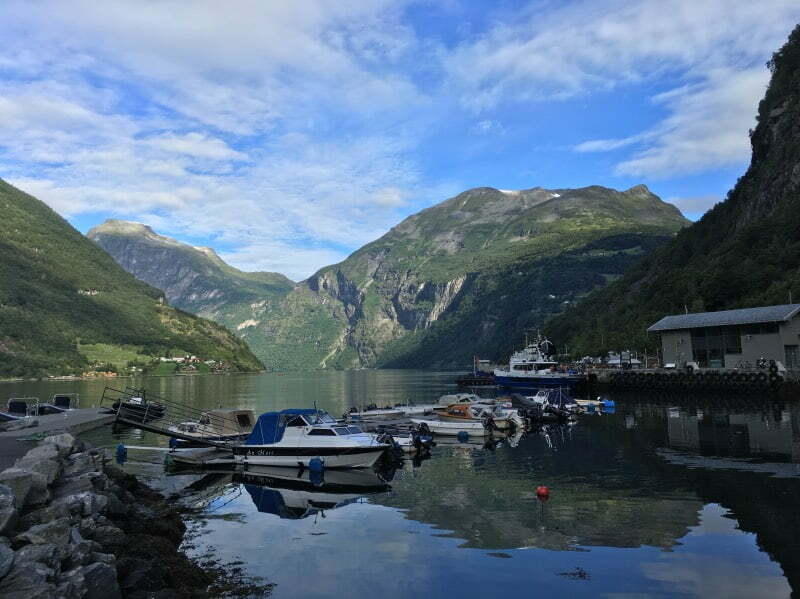 Here you'll learn more about how the fjords were created, how local people have adapted to the rural environment (and why so many left for America 100+ years ago), and the story of the UNESCO World Heritage award and ongoing preservation work. Quieter than Geiranger (although still uncomfortable when a cruise ship docks), Hellesylt is a great alternative place to stop or stay. The famous waterfall cuts the village in two. Visitors can get quite close to the raging waters on a couple of bridges and trails. The village has a couple of cafes and a small pizza restaurant that is popular while people wait for the ferry to Geiranger. The pretty Sunnylven Church is also a popular stop, although it's a steep climb from the village centre. Because of the rural nature of the region, accommodation is limited so you should book well in advance to secure your first choice. A couple of full-service hotels are dotted in and around the village, but otherwise you are limited to campgrounds. 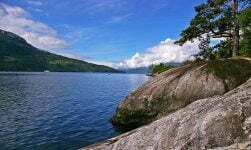 But the Norwegian campgrounds may surprise you! Most have modern shared facilities for those staying in tents or motorhomes, while many have their own wooden cabins available for hire. These are often cheaper than a hotel room yet offer more space and facilities. Last year we spent a week in a cottage nearby Hellesylt and had hikes all around the area . Tremendous views. Want to go back.